The dormer comes with the Victorian window #50390. The window is made of natural wood with real glass pane and is supplied with separate slats for the window sash bars. The glass pane can be easily pushed out of the frame, so that an uncomplicated painting of the window frame is possible. If an interior panelling is required for the dormer, which is not included in the scope of delivery, it must be measured and cut to size individually. For the construction of the inner lining we recommend the strip #70541. The dormer comes with the Victorian window #50390. 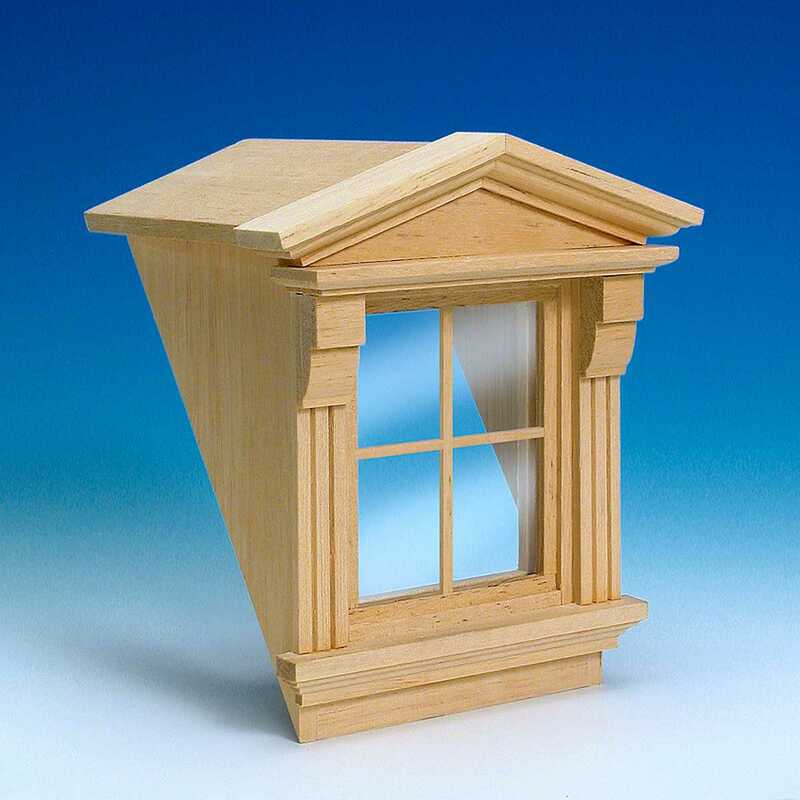 The window is made of natural wood with real glass pane and is supplied with separate slats for the window sash bars. The glass pane can be easily pushed out of the frame, so that an uncomplicated painting of the window frame is possible.